In a world where almost every industry requires some form of mineral based resource to produce their products, mining has been an inherent and much-needed activity for ensuring the growth of manufacturing countries. The mining sector also acts as a barometer for the state of these respective countries’ economies. In recent years, the global economy has pushed all industries to rationalise their operations and the mining sector has not escaped this requirement for survival. Advances in technology have been key in this rationalisation process and have been successfully used to streamline operations, reduce downtime, drive down costs and increase profitability. The dynamic innovations in play include robotics and bespoke systems that are developed specifically to service the sector. This has led to the very real challenge for mining companies of choosing which innovations to adopt. Whilst utilising technologies strategically and with sustainability in mind can increase efficacy and profitability, it can be a confusing space to be in when innovation is the norm and long-term viability is still in the commencement stages. The philosophy contained in IoT is destined to play a key technological role in the mining industry. When used in the industrial context, the acronym IIoT (Industrial Internet of Things) better explains the ability that technology has to synergise end users’ advanced sensor technology with automatic control algorithms. To translate this jargon into an example, IoT-enabled machines can schedule their own maintenance, with the result of smart machines! IoT can also solve connectivity issues across wide areas by leveraging all available communication networks into a single, powerful network for effective data communications on multiple platforms, including mobiles and tablets. Areas where IoT is showing great promise for the future of mining include mine safety, mine efficiency and real-time data flow. The mining environment requires the use of powerful, heavy-duty production equipment and machinery. The interaction between operators and equipment can be risky and accidents can occur – the risk of human error will always be a reality. One way that IoT can mitigate this risk is with the use of radio frequency identification (RFID) tags. Heavy duty machinery is equipped with RFID tags and various proximity style sensors. These devices send out warnings when they sense proximity to other RFID and/or sensor enabled persons and equipment. The system automatically alerts the equipment operators of the dangerous proximity and therefore avoid possible accidents, thereby improving mine safety. Whilst Enterprise Resource Planning (ERP) Systems are not new to the industry, the way that they are utilised within mines is slowly shifting. ERP Systems that are developed with mine efficiency top-of-mind, results in a single integrated solution that can be utilised to manage and control all business touch-points throughout the mine. This means that HR management, asset maintenance, facility management, mining operations management, mine planning and budgeting, assets and personnel tracking, collision avoidance, health & safety as well as legislative compliancy, can all be managed through one singular system. Ultimately decreasing downtime and increasing efficiency. The new breed of ERP systems mentioned above also allow for the free flow of real-time data to mine managers and owners. This means that targets can be broken down to a granular level and monitored in real-time. Mine managers can track the progress of mine targets on a daily or even hourly basis, enabling them to react in a proactive way to ensure that the overall target for the mine can be met. As the take-up of the Internet of Things begins to gain momentum, the mines that adopt and embrace the technology will certainly be able to optimise their productivity and mine safety further, afford more innovation and improve overall mine performance. 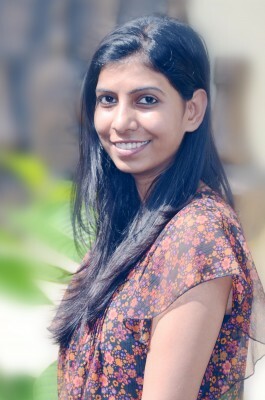 Rashmi Singh is the Digital Marketing Strategist for Reactore Solutions. 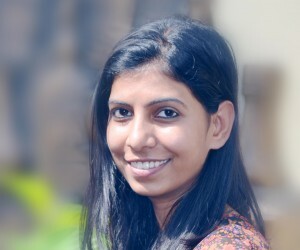 With over five years of experience in the realm of digital communications, Rashmi works with a diverse range of professions including designers, bloggers, marketing professionals, business analysts and developers to ensure that business communications match customer requirements. Rashmi has a Bachelor of Commerce (B.Com) degree and an Executive Post Graduate Diploma in Management and enjoys singing, electronic music, poetry and photography in her spare time.